Take this my body for it is done and I have gained a new life, glorious and eternal. 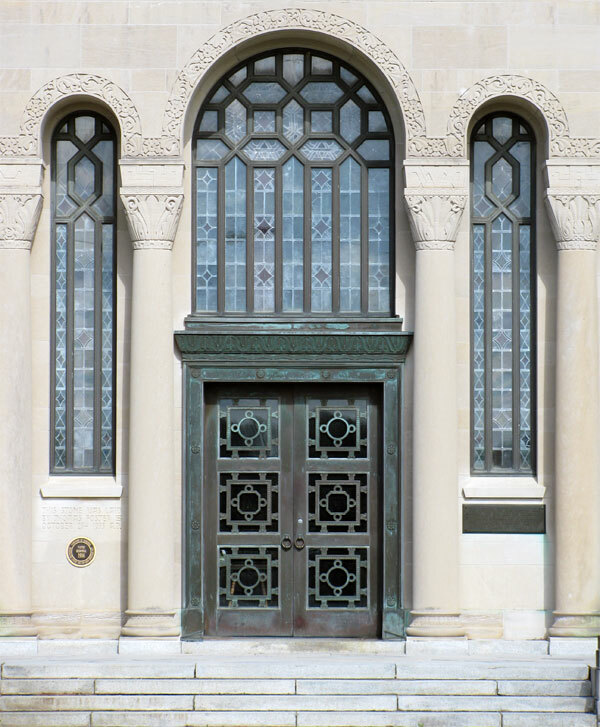 Listed as one of the "Top 100 Unusual Things to See in Ontario", is the Foster Memorial. Inspired by the Taj Mahal and built in 1935 by Thomas Foster. 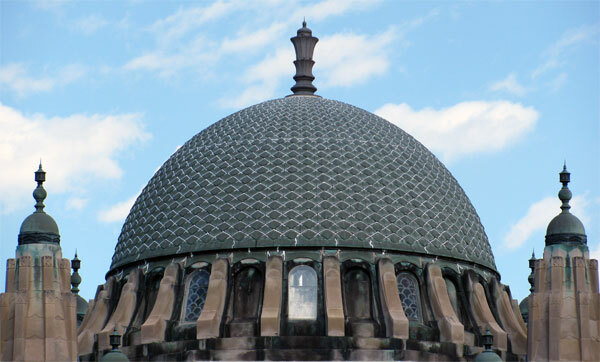 The octagonal temple is constructed from Indiana limestone, Italian marble, leaded glass windows by artist Yvonne Williams, bronze doors and windows. Foster was the also the Mayor of Toronto from 1925 to 1927 but gained his wealth through real estate. 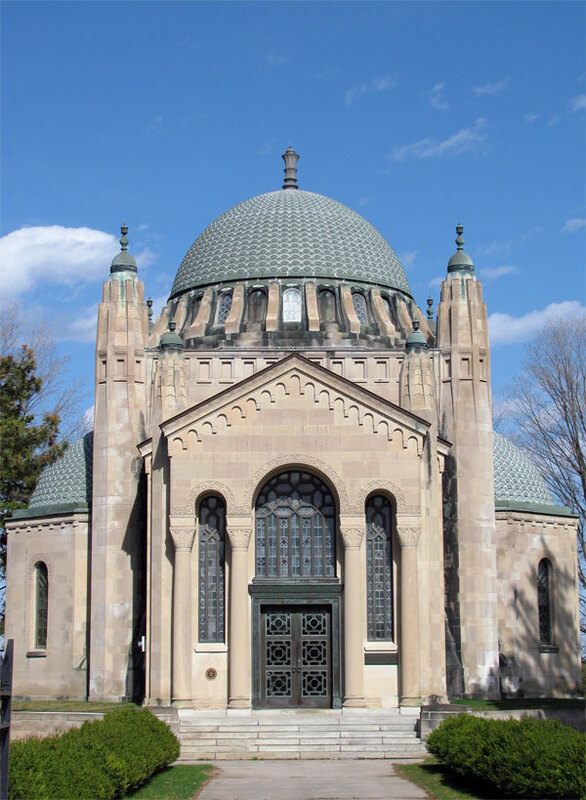 He constructed the temple as the final resting place for his daughter Ruby who passed away at the age of 10 in 1904 and his wife Elizabeth who died in 1920. Thomas was buried there when he passed away in 1945 at the age of 95. I see you have taken some photos I dream of taking. Nice! Every time I pass by this memorial, the gate is closed!